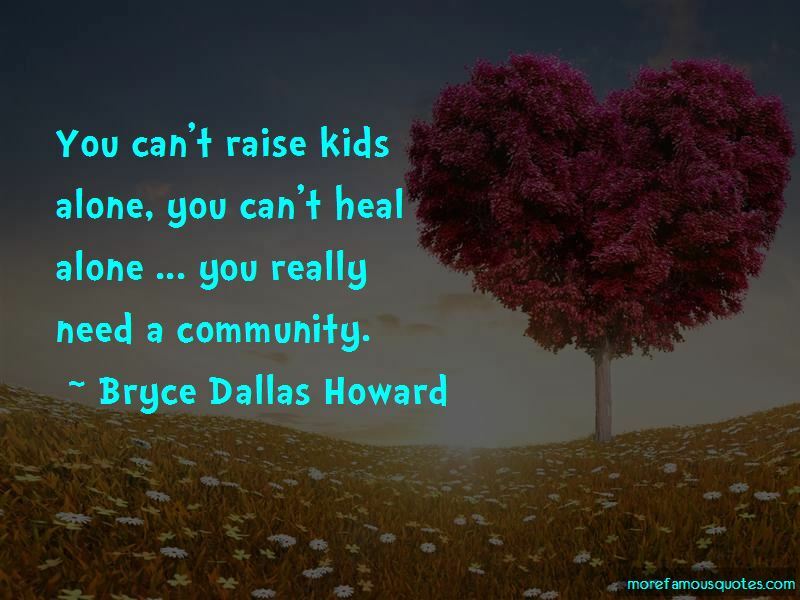 Enjoy the top 115 famous quotes, sayings and quotations by Bryce Dallas Howard. I try to go with the flow and have faith that everything is going to work out. I'm not going to lie. I rarely wear sunblock. My first time I directed a play was 'No Exit,' a play set in a subway. The thing that every parent hopes for is that the baby's healthy, I'm healthy. No matter how you feel, that's the most important thing. I did a play in New York at the public theater, a Shakespeare play, and M. Night Shyamalan, who is the writer/director of 'The Village,' came and saw me in the play and asked to go to lunch afterwards. I'm a huge fan of the animated film 'The Land Before Time' and that was one of my favourite animated films when I was growing up. It's just that the characters are speaking their mind. As opposed to it just being an expression, they're actually saying what's on their mind, and that's something that Tennessee Williams is really famous for. Shakespeare does that and Tennessee Williams does that. You crave that, when you're an actor, for sure. I think my favourite memory from filming 'Jurassic World' would just be a compilation of me running through the jungle in heels, and just how absurd that really was. That that actually happened. The greatest sci-fis, in my mind, are two things: They're what-ifs - what if this happened, and you get to see it - but they're also these philosophical cautionary tales. They deal with the underlying themes beneath the what-if. 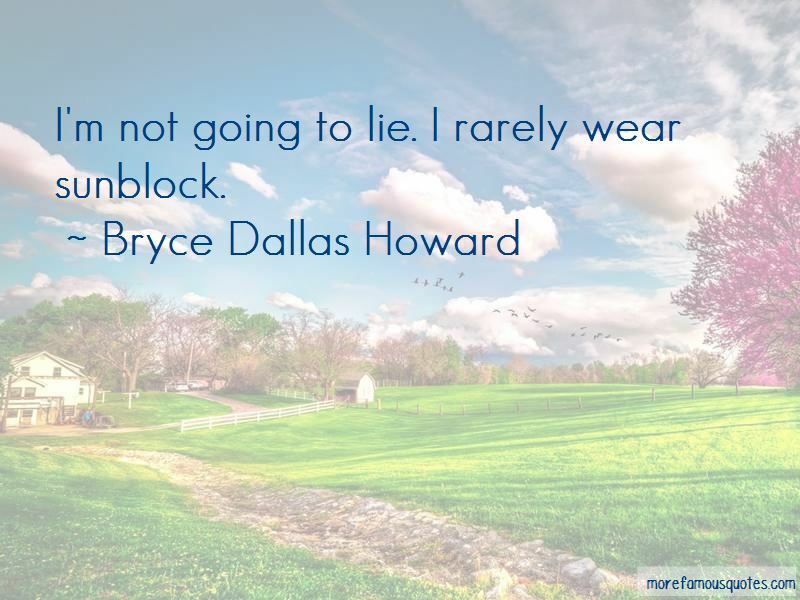 Want to see more pictures of Bryce Dallas Howard quotes? 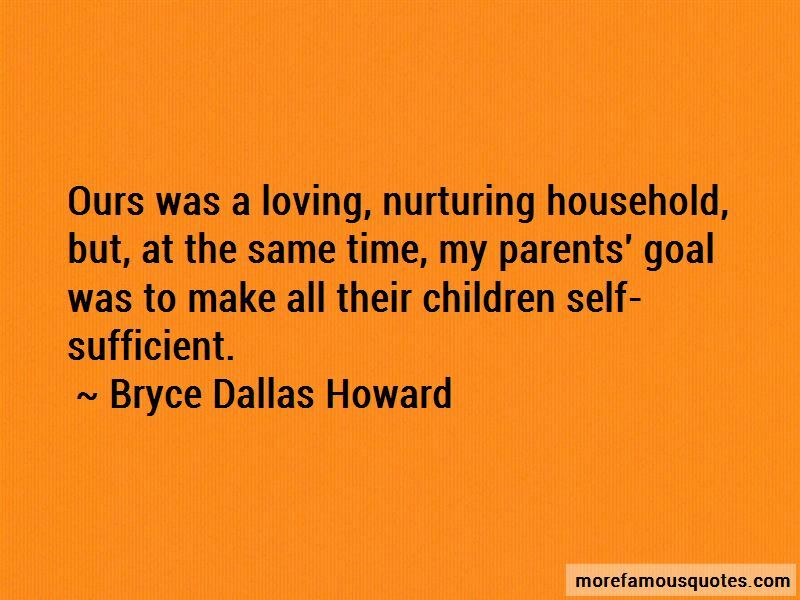 Click on image of Bryce Dallas Howard quotes to view full size.